It’s a word I have often heard, but never understood, the word, Hogmanay. I know they celebrate Hogmanay in Scotland, so I sought out Two Scots Abroad (of course) to participate in the Holiday Celebrations Around the World series. I figure if anyone could shed some light on this holiday it would be them. I’m thrilled to have them sharing today because I learned a ton about this festive event! Each year on the 31st of December, people all over the world celebrate New Year’s Eve, but in Scotland, Scots and holidaymakers alike, party harder for Hogmanay. It is not clear where the name ‘Hogmanay’ came from but it is thought to be linked to the Scots language, Gaelic, or from Norma – French. What is clear is that partygoers ‘bring in the bells’ by drinking lots of alcohol, partying with friends, up and down the country. 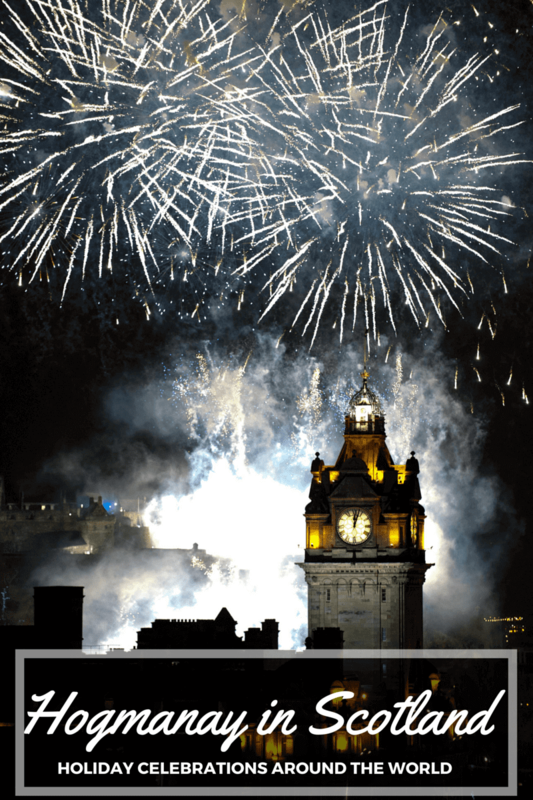 10 seconds before 12 am on the 1st of January, Scots will countdown from 10 – 9 -8… until 1, this is when the bells ring and the new year has arrived. At the bells, you can expect lots of hugging between loved ones and friends but it’s not exclusive to get a cuddle from someone you know, do expect a squeeze from a stranger! Next up, will be a loud and shaky rendition of Auld Lang Syne by Robert Burns. In times past, it would have been common for neighbours to ‘first foot.’ This is when you knock on the doors of the friends who live closest to you. You’d be greeted with a kiss and a dram. This dram of whisky, or scotch as the North Americans like to refer to it as, may turn out to be a bottle in the up and coming hours! This practice does still happen today between neighbours but not as frequently as before, in the past it would not be a surprise if a stranger knocked on your door, to which you would extend the same hospitality! Now that people have a larger disposable income, it is common for Scots and travellers to migrate to Scotland’s capital city, Edinburgh, for Hogmanay. The party doesn’t just start on the 31st of December, the night before, thousands of families take to the streets in Edinburgh for the Edinburgh Torchlight Procession. 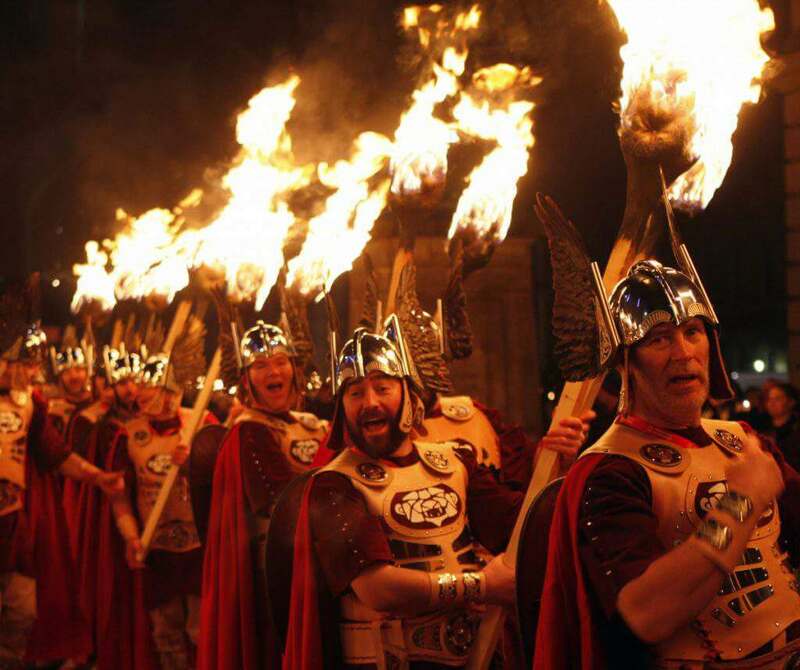 Last year 30,000 people attended the torchlight procession starting at George IV Bridge and ending in a firework display. The event costs £12 to participate and is a sell out each year! The iconic Street Party is ever expanding! Now revellers can ceilidh on the cobbled streets, watch bands in the Princes Street Gardens, or celebrate at the Street Party. Partygoers can watch popular bands and DJs on the main stages of the Princes Street Gardens with the Castle towering above. This year, Scotland’s own, Idlewild and Biffy Clyro will be keeping the crowds entertained. 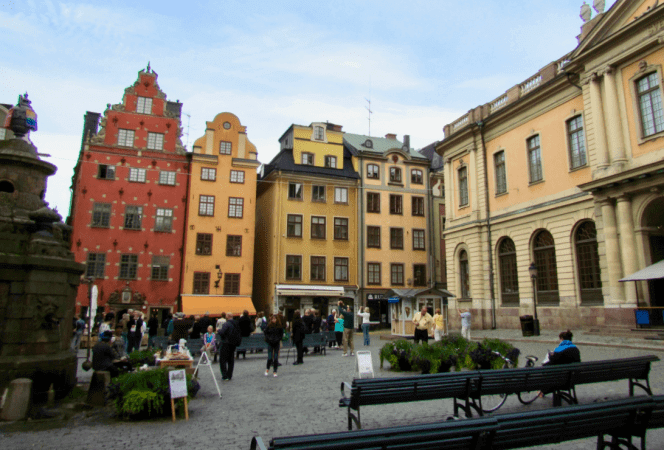 The Old Town Ceilidh takes place in the heart of the Old Town. Think cobbled streets, bagpipes and the world’s largest Strip the Willow, and you are there! The famous Street Party has four music stages, rides & attractions, and is part of the biggest New Year’s Eve firework display – in the world! 2016 sees Newcastle’s finest, Maximo Park take to the stage. A word of warning, this is Scotland, wrap up warm! Speaking of cold, how does diving into the waters of the Firth of Forth sound? Fresh! For over a quarter of a century, dookers have dressed up in fancy dress and cured their hangovers by dipping into the sea, under the iconic Forth Bridges at South Queensferry. The event is now £10 but the proceeds go to charity and you have to book up fast as, like the Torchlight Procession, it’s a sellout! How will you celebrate the New Year? 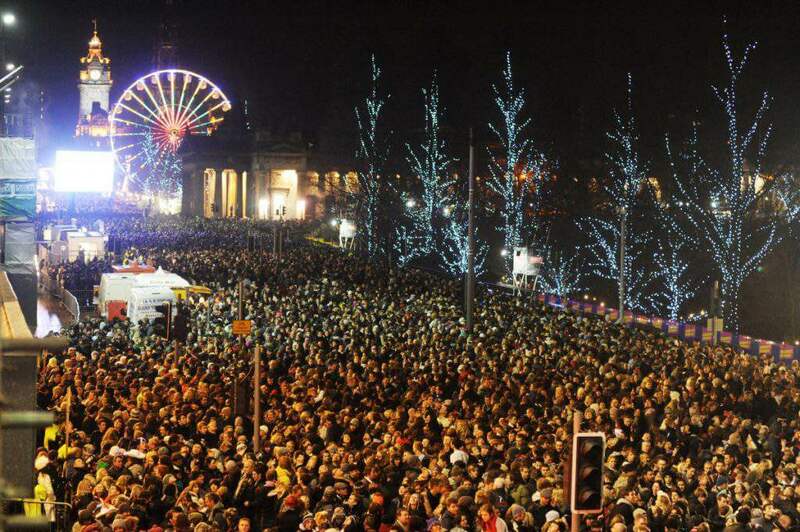 Will you be one of the 150,000 friends of Scotland who hammer it this Hogmanay? Remember to hashtag #blogmanay on your social media accounts to show the world how Scots do New Year, Hogmanay style! 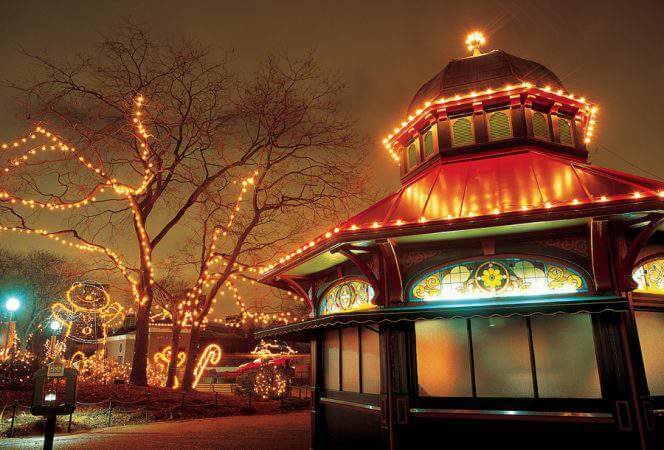 Want to see how they celebrate other holidays around the world? Check out Ethiopia, Catalunya, Sweden, Australia, Germany, Mexico, Japan, India, and London! 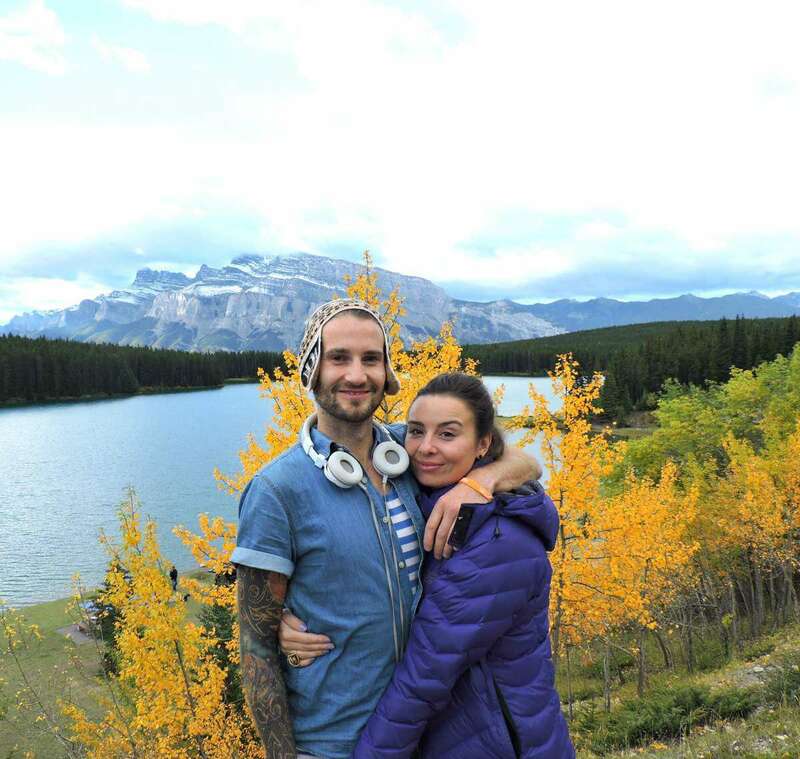 Two Scots Abroad (Gemma and Craig) have downed tools as teacher and tradesman and are traveling the Americas and Europe on an 18 month career break. They are currently living in Vancouver after four months of fast paced travel in South America and Cuba. Join them as they ski in B.C, surf in Nicaragua, and party in Ibiza very soon! You can also connect with them on Twitter and Facebook!